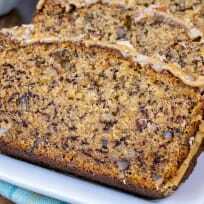 Enjoy a slice of this Maple Pecan Banana Bread with your morning coffee. This sweet bread is a delicious breakfast or afternoon snack choice this fall. 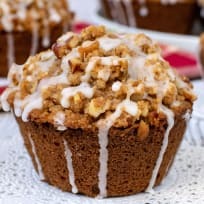 Baking a batch of these Apple Pecan Streusel Muffins will make your kitchen smell like fall. It's the perfect way to welcome in the cooler season. These easy to make pecan chocolate chip cookie dunkers are like biscotti - a crisp chocolate chip cookie that you can easily dunk in your milk or coffee! It’s totally worth tucking extras in your lunchbox for a 3 o’clock pick-me-up. 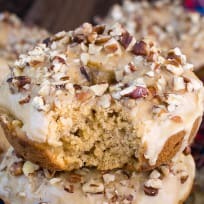 Pecan Pie Cinnamon Rolls couldn’t be easier to whip up. 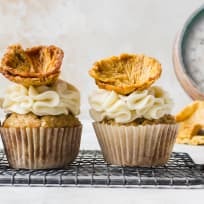 Great for breakfast, brunch, or maybe even dessert. Sweet and salty unite in these irresistible potato chip cookies dipped in chocolate. There is no resisting these family favorite cookies. These lacey cookies are surprisingly easy to make - made with ground pecans and drizzled with chocolate, you will have a hard time eating just one! They’re perfect for Christmas.